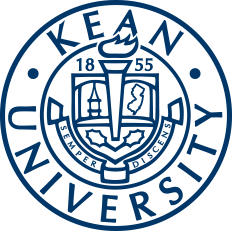 Kean University is a hub of resources for all students, especially seniors during their last year. 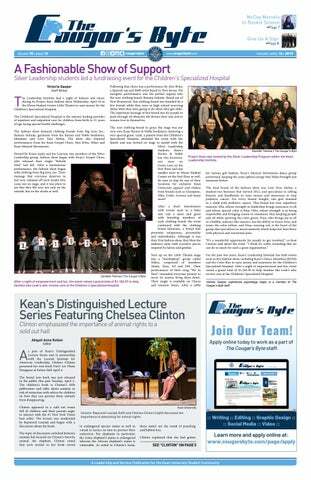 Seniors at Kean University set the tone for their younger peers. With that being said, Kean has been able to provide them with resources and tools needed after graduation. Some of the skills included leadership, communication and soft skills, which are key factors for employers. Moreover, senior year can produce "senioritis," which is a term used to describe the lazy and unproductive state some individuals may feel in their last year. To combat this, seniors have resources like the Writing Center, the Office of Career Services and Internships and even the Nancy Thompson Library Learning Commons. The Writing Center serves as a place where students, especially seniors can better all forms of their writing. Tutors can help seniors with cover letters, resumes and graduate school admission essays which can produce skilled writing and successful opportunities for students. The Office of Career Services and Internships also assists in finding job opportunities. Some of their services include: resume critiquing, mock interviews and career planning. The office also trains students on how to find internships, what to look for in an internship and about the financial aid available at Kean. Cooperative education is also available through the office. In contrast to internships, cooperative education serves as an opportunity for students to gain hands-on experience while preparing for their future career. Within the Nancy Thompson Library Learning Commons (NTLC), the Tutoring Center and the Speech Lab are two more resources that seniors are encouraged to use. The Speech Lab specializes in preparing and familiarizing students with techniques for comfortable presentations or speeches. Techniques such voice and articulation are implemented to aid students in their future job positions. The Tutoring Center advocates for student development through facilitating learning techniques for all courses. Seniors especially can visit the center to successfully finish their academic career. Furthermore, the following students are prepared to embark on a new journey and have Kean's resources to thank for that. Katarzyna Sierant, a senior double majoring in global business, believes that Kean has many departments that are helpful for seniors. "The Office for Career Services and Internships can help seniors get prepared for the next step after graduation and Kean's Student Government is helping with preparing for graduation with senior photos, events and more," said Sierant. With all of these graduation resources, Sierant feels the process is simpler and easier to handle. "I get constant reminders from departments about the graduation deadline. I get notifications for senior events and more. It really helps me keep on track for graduation," Sierant said. In addition, Sierant recommends students to use Kean's resources throughout their time on campus, as it is beneficial and can build relationships as well. Khamayah McClain, a public administration major, agrees that it's important to be involved and use the resources given. "I think the Career Services are useful, and Blanca [Rosales-Ahn] is very helpful. Also the Writing Center is great when you need help writing research papers. For my research over the summer, the Writing Center really helped," McClain said. McClain recommends that future seniors take advantage of the various groups and benefits these groups provide for student development and growth. So take the initiative and visit these resources for a peaceful end to the senior year.